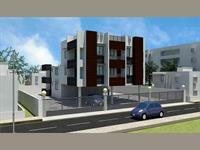 Looking for a property in Korattur? Have a property in Korattur? The undiscovered part of North Korattur is just booming with activity. The Chennai by Pass makes this directly accessible to the large industrial areas of Ambattur, Oragadam. Sriperambattur and Madahavaram. What most people do not know is that it is the closest open area to City and Annanagar is just 5 Km through Padi and 100ft Road. It’s no wonder that big high rise apartments like Alliance- Orchid Springs have changes the skyline and set the ground for rapid appreciation if the Canal Road is connects the 100 ft road to Chennai By pass. North Korattur will soon be another Annanagar and is ripe for investment. Roads are under development some water logging areas. Still underdevelopment, no access to By pass toll. Korattur is a very good locality. It is very close to Anna Nagar and railway stations, bus stand, hospital, market, schools and ATM. It is well connected by trains, buses and public transports. Transport facility is also good in this locality. Korattur is a very safe locality and well connected with the other parts of the city. Korattur, Chennai is rated 5 out of 10 based on 2 user reviews. Have a good knowledge of Korattur? Share it and become a Locality expert.